Just me being me: CSI challenges - SO MUCH FUN! CSI challenges - SO MUCH FUN! Well this month I decided to try a different sort of a challenge. A great friend Renee Aslette put me onto the challenges over at CSI which push you to include a number of different elements, while giving you a great deal of choice with how you go about it. I am just loving how different challenges can push you in very different ways. There is a challenge that goes up every week and you get a week and two weekends to complete them. How great is that!! Aside from the great challenge... the work uploaded on there is simply AMAZING I am so inspired by all the work from the different ladies that take part. Again I think that it is because there is a number of different elements included in each challenge. You may interpret the elements in the design as you wish, but use the basic composition of the sketch. You may flip or rotate the sketch to suit your design. Use a song title or lyrics as inspiration for your journaling (inspired by the tape recorder). Take a break - break your journaling across several journaling spots. 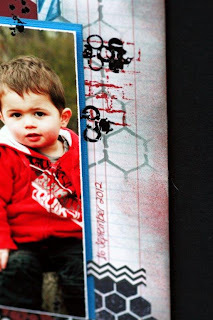 Write your journaling on note paper. Do your journaling as a diary entry. I used a number of different bits and pieces to create this one. Again I used the My Mind's Eye 'All is Bright' collection (I love this for a Christmas paper - non Christmas theme) the colours are just divine. 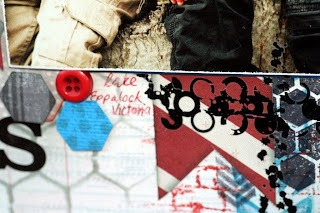 I also used some paper alphas and stickers from Echo Park's 'Dots and Stripes' collection. Love this as there is always something there to team up with whatever I am working on. To top that off I also used some paper from Authentique's 'Celebrate' collection. 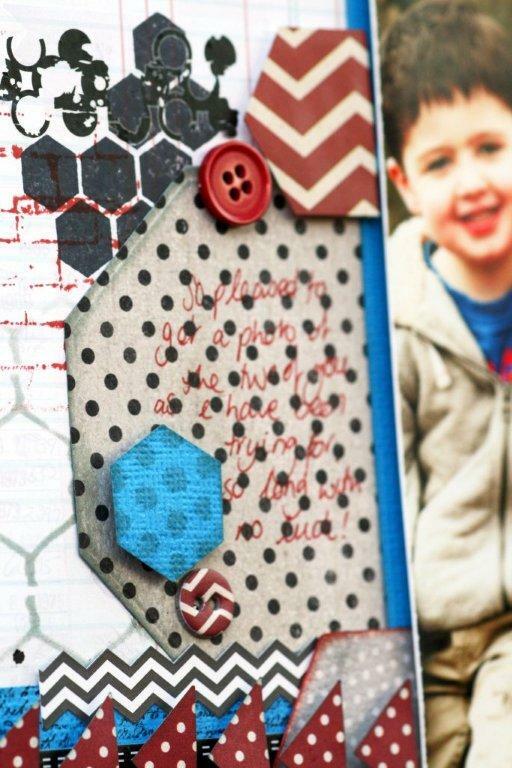 To create my background and embellish from the top layer down, I used a number of different Tim Holtz Distress inks to blend, mask and stamp in layers. I also used Faber-Castell Pitt pastel pencil & Distress markers for the Chevron masking. 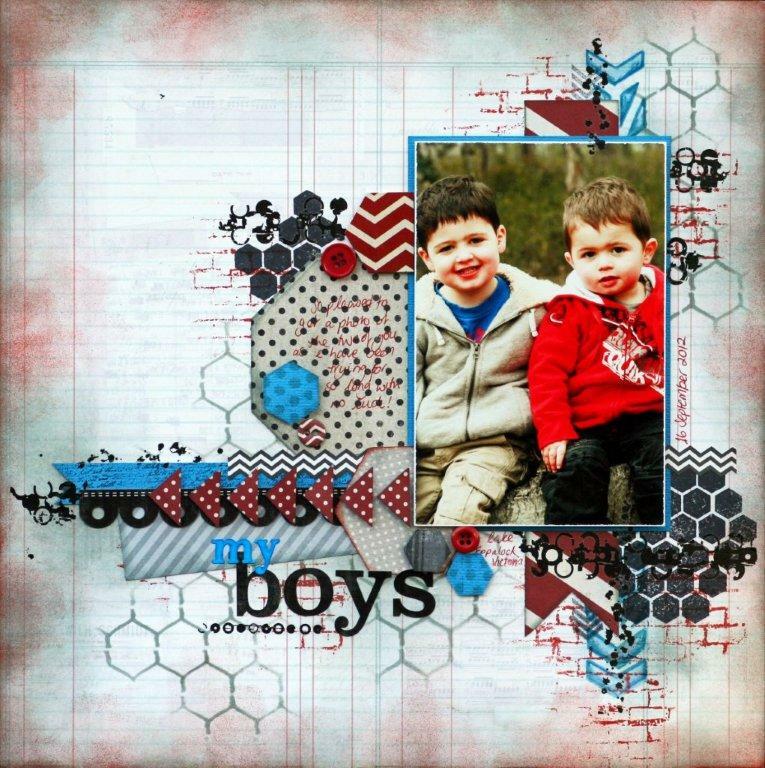 The stamp sets I used on this layout are Prima's reversed wall stamp & script stamp, and My Mind's eye's The sweetest thing, 'Happiness' and 'Remember' stamp sets and the 'Fun Day' stamp set. 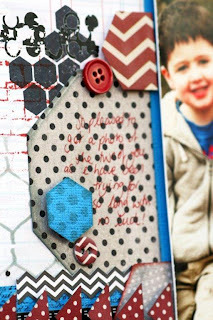 I also used my favourite TCW, Reversed Chickenwire stencil and Scrap FX's Chevron A4 stencil. 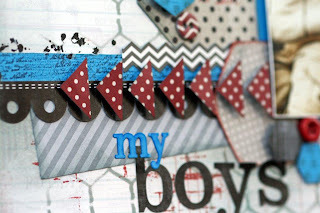 To finish all of it off I added some old Kaisercraft rubon's I had lying around in my rubon stash. To put this all together I could only use my favourite product... HELMAR of course! I used Helmar Premium craft glue and liquid scrap dots on this one. 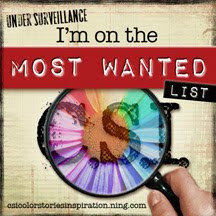 Hope you have enjoyed my share today and head on over to the CSI ning site and take part in all the fun! Beautiful layout and a great interpretation of the sketch. I live in the US and am having an awful time finding Helmar products, particularly the liquid scrap dots. I tried going to the Helmar website to order, but $20 of products cost $ 230 in shipping! Do you have any suggestions for those of us in the US who want to use Helmar products? Beautiful job on this layout, and love all the details!! !